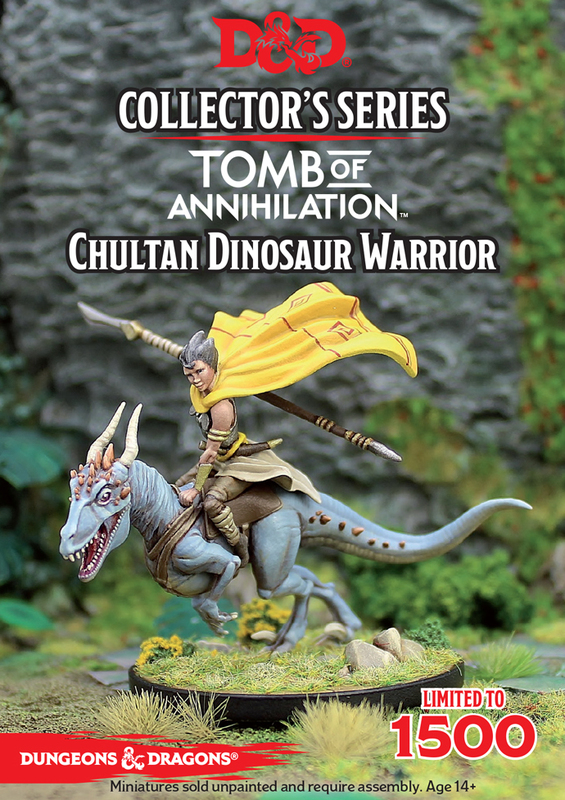 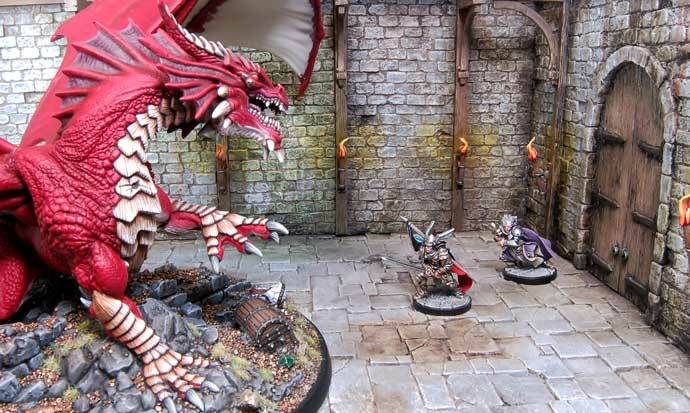 The cult of the dragon leaders lurk in hidden temples while they prepare for the end of human civilization and the rise of a new ruler, the multi-headed dragon goddess, Tiamat. 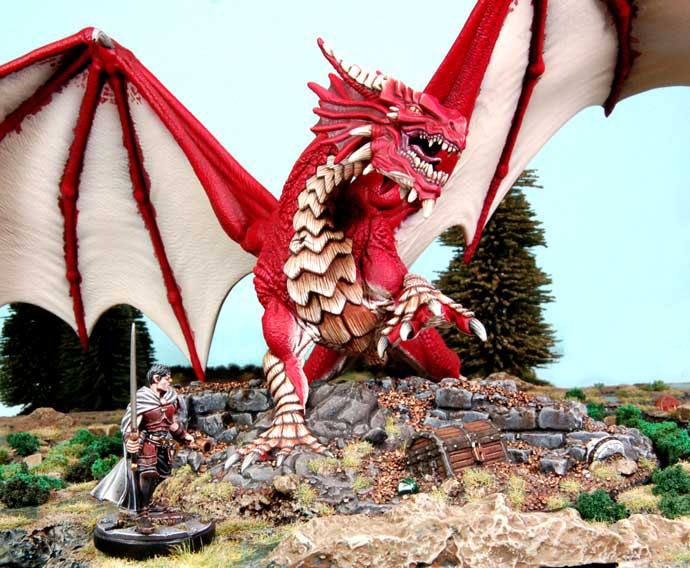 Severin, keeper of the red dragon mask and the visionary leader of the cult, schemes to build a new dragon empire in Faerun. 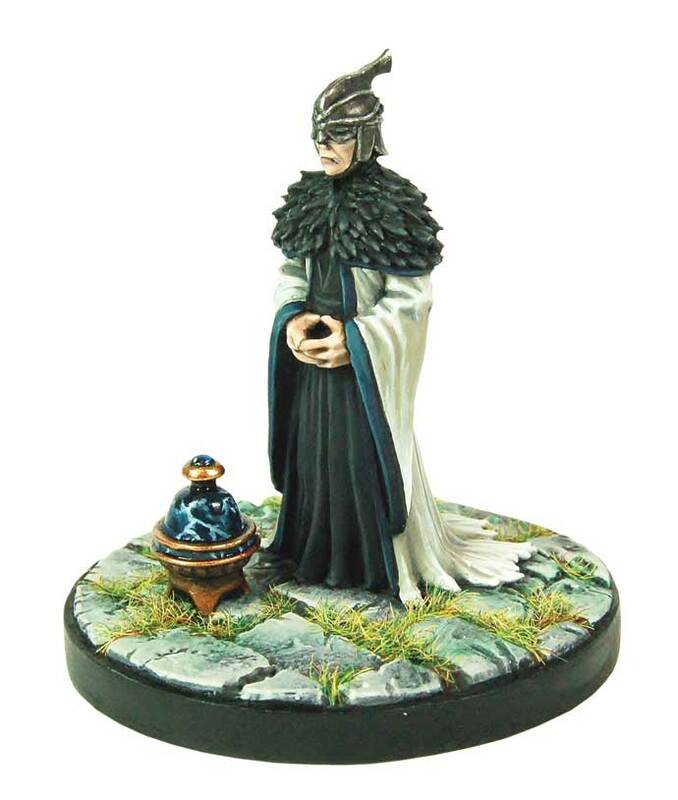 Varram, Severin’s friend, is awarded the honor of keeper of the white dragon mask. 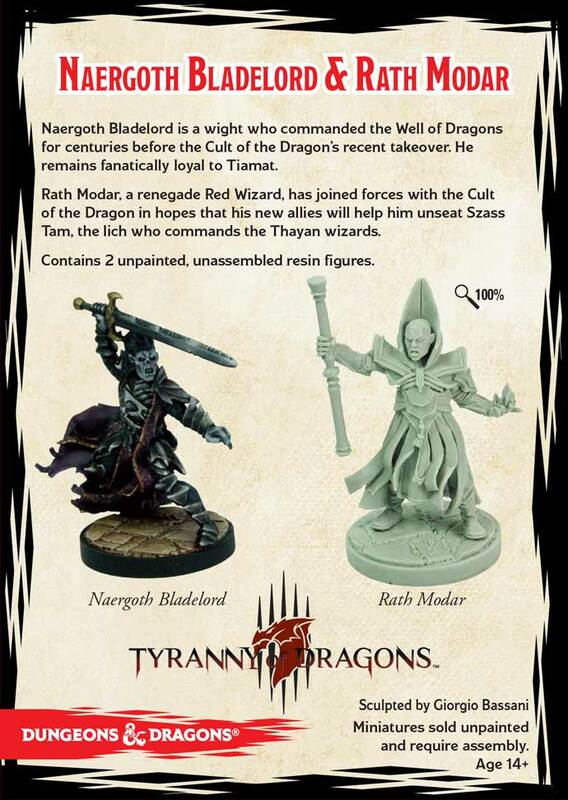 While Talis the half elf breaks with Severin to form her own alliance of cultists believing she is the rightful bearer of the white dragon mask. 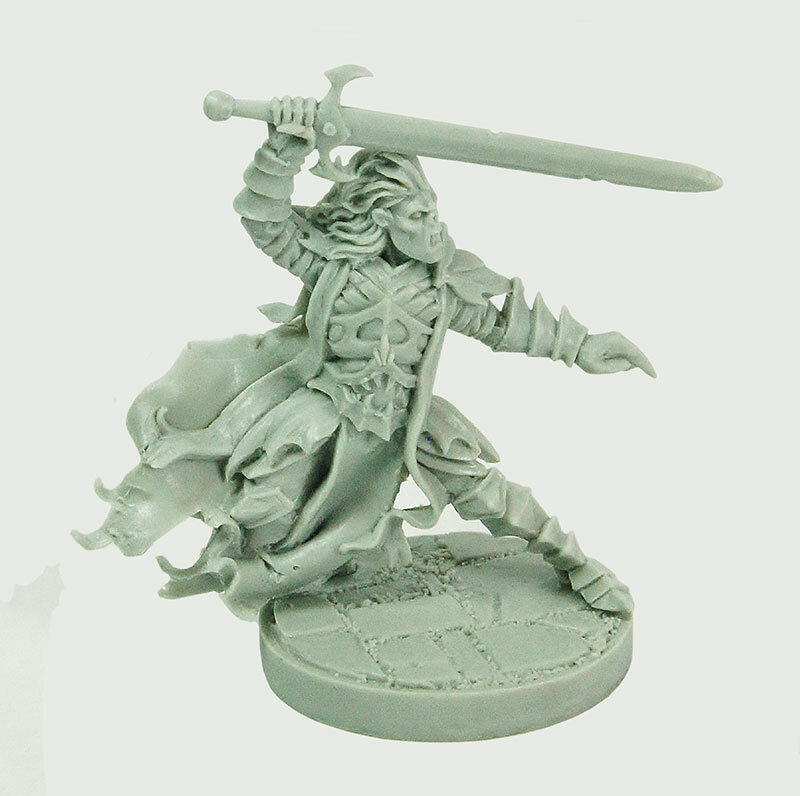 And finally there is Rezmir, this half black dragon is a formidable warrior to all of her foes. 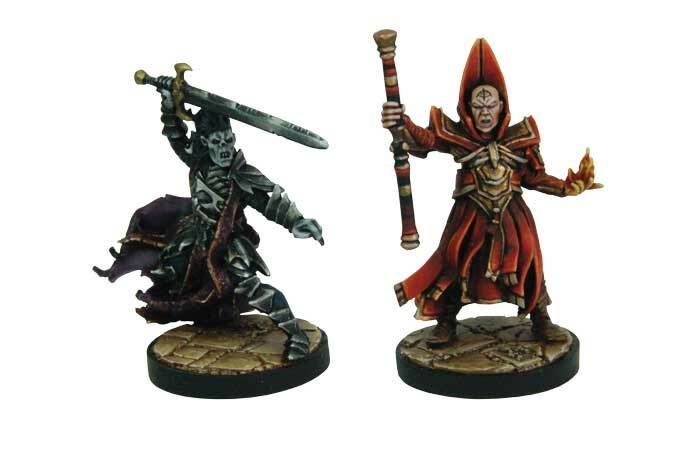 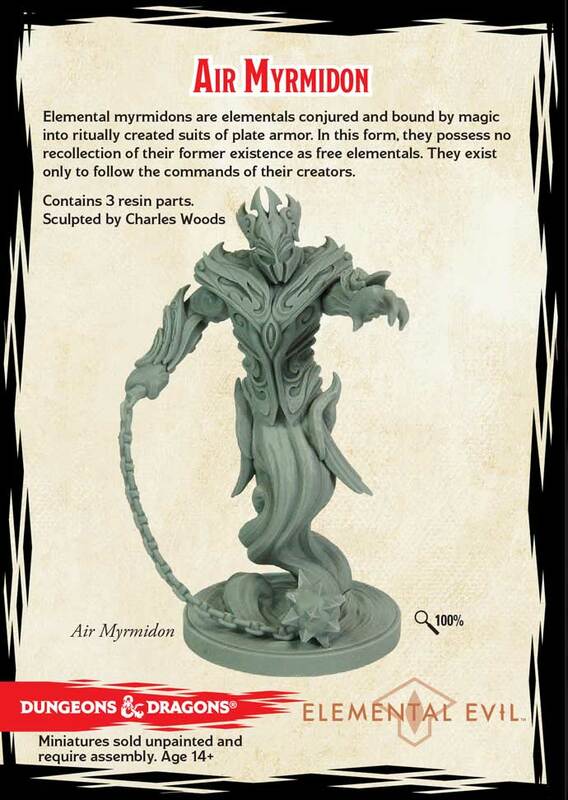 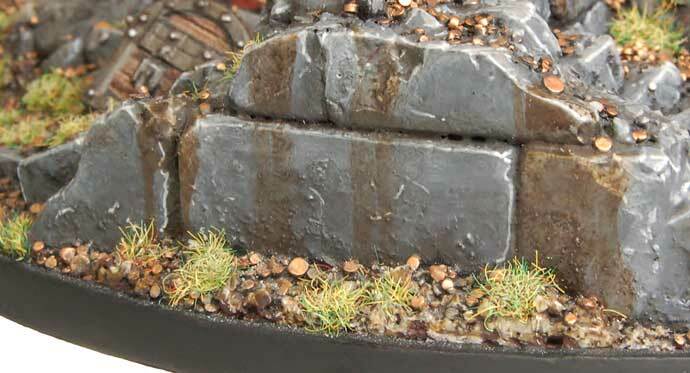 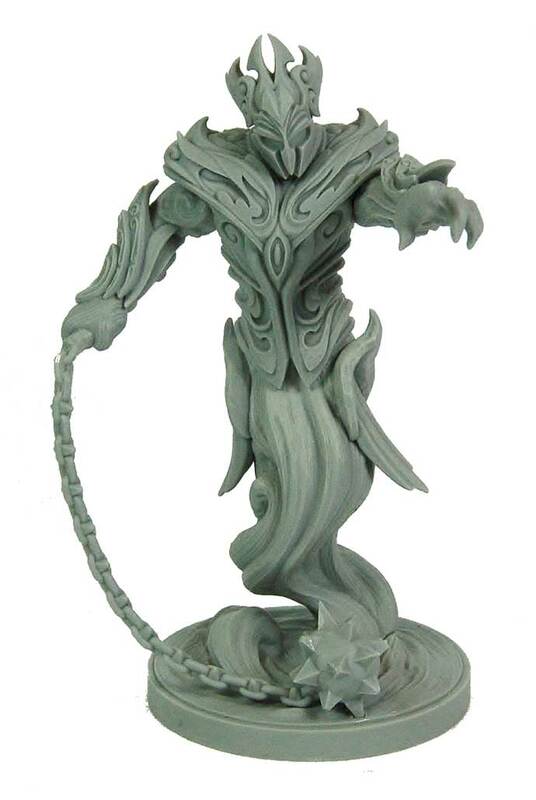 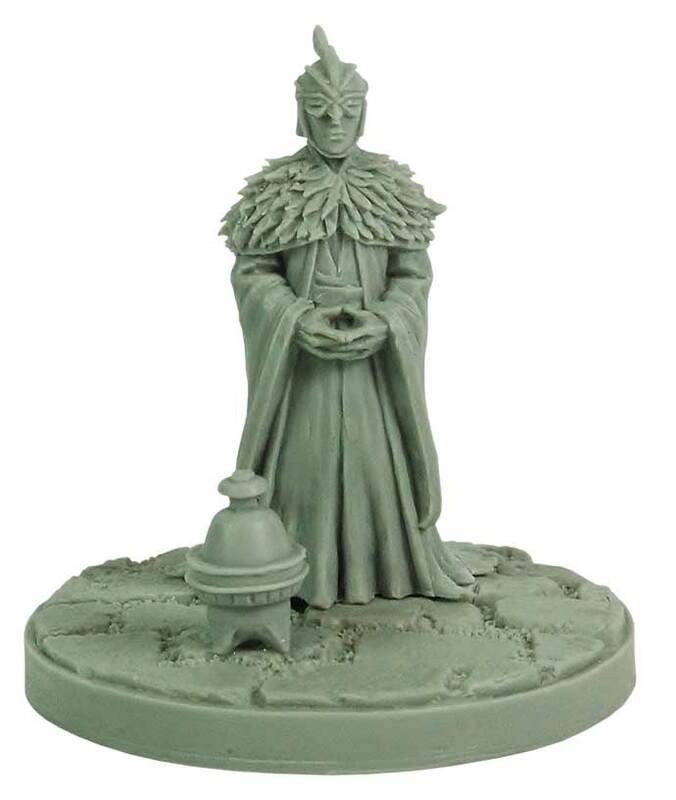 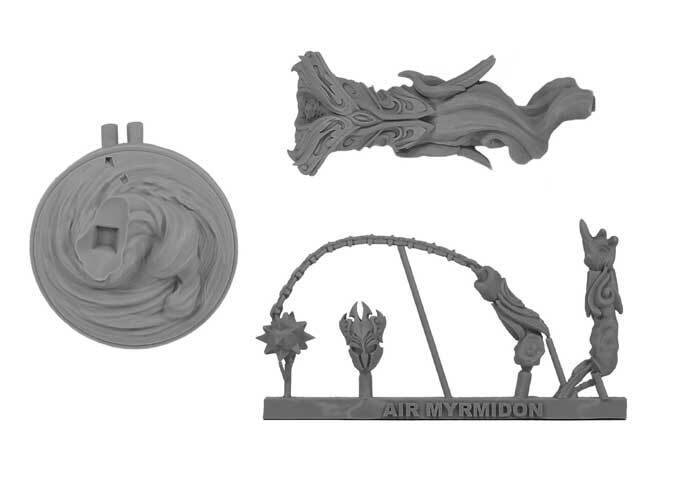 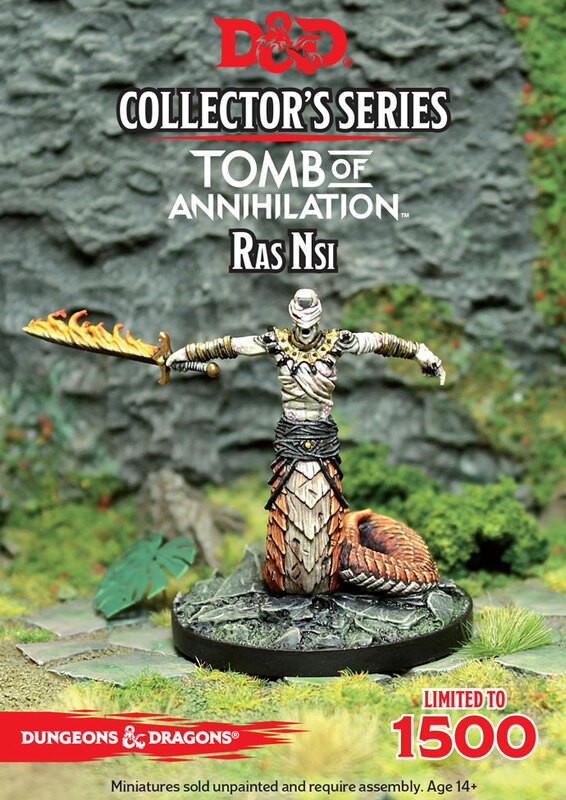 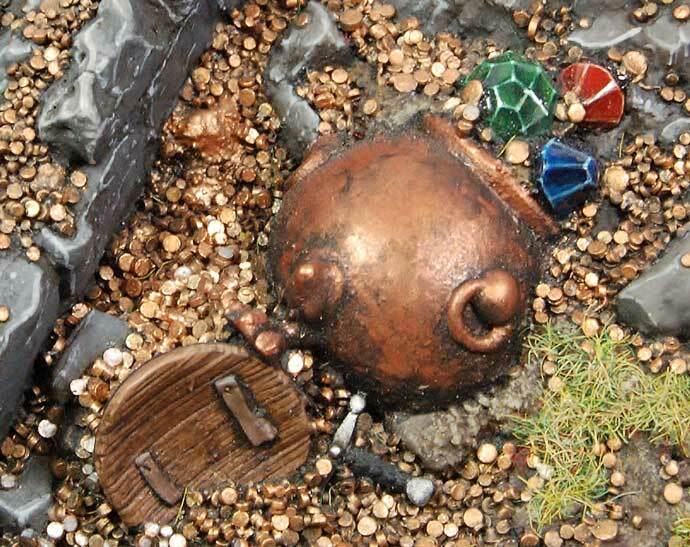 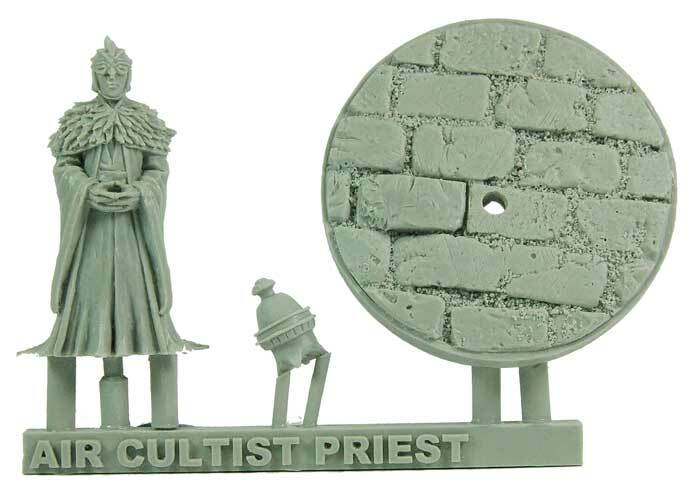 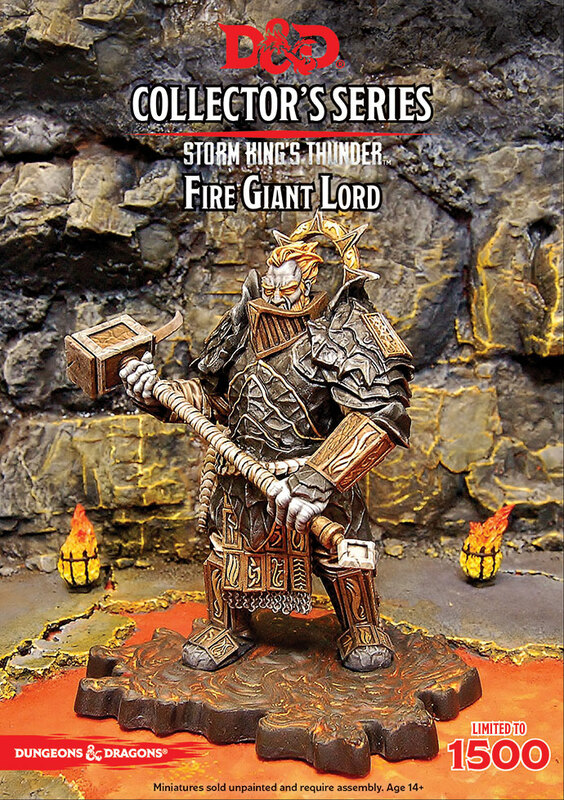 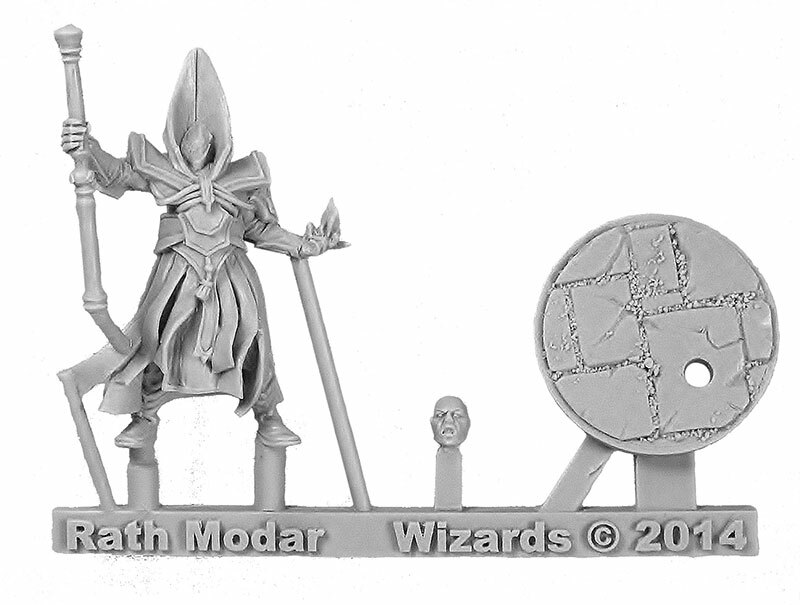 Contains 4 unpainted, unassembled resin figures. 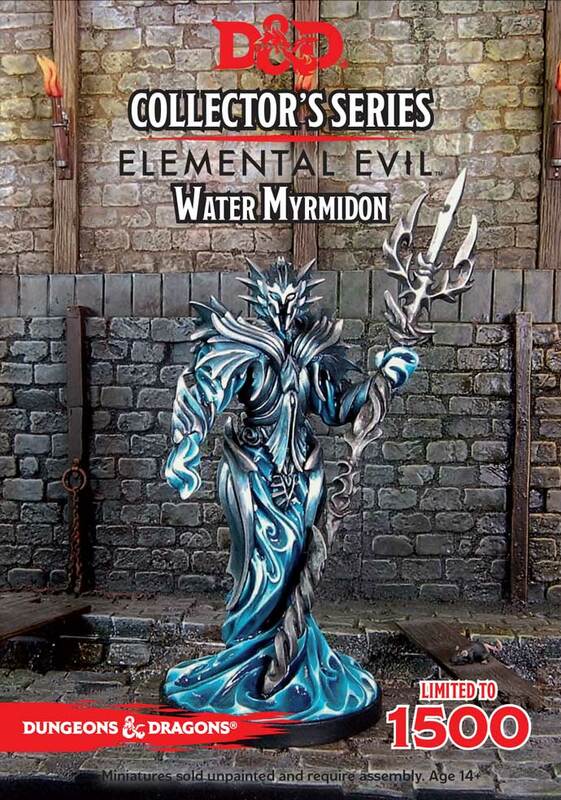 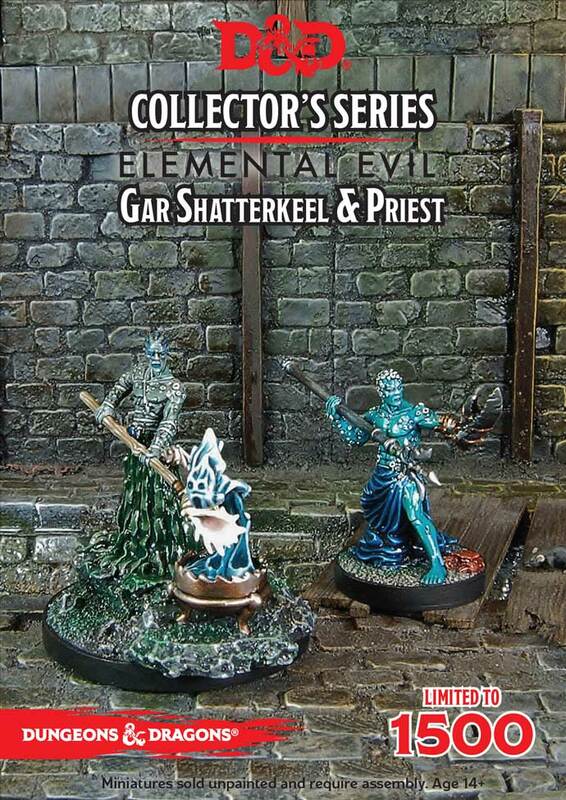 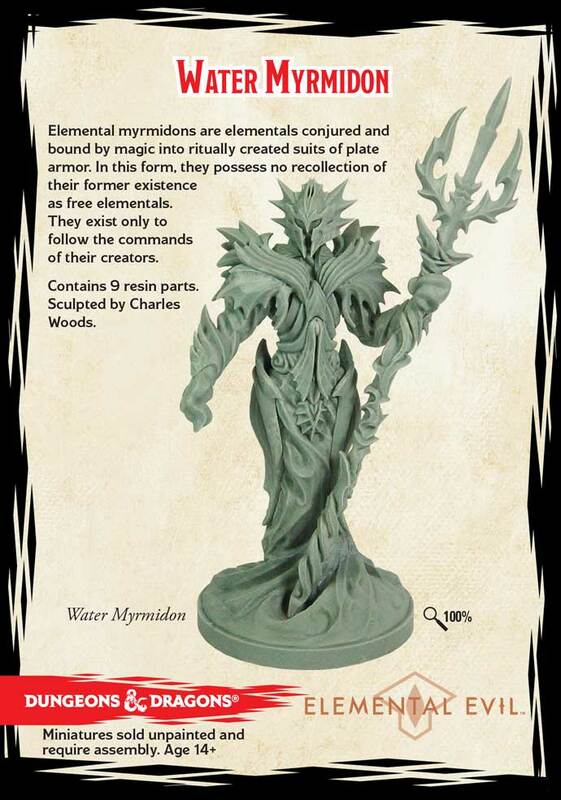 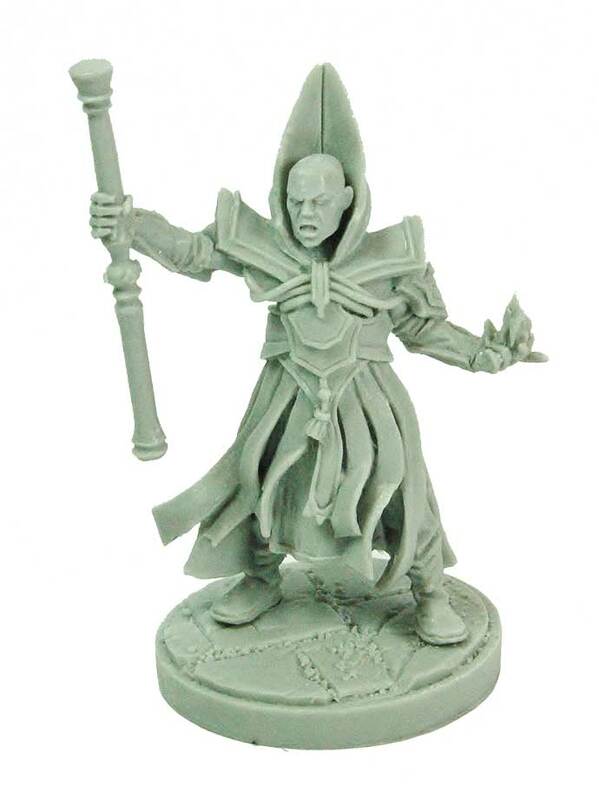 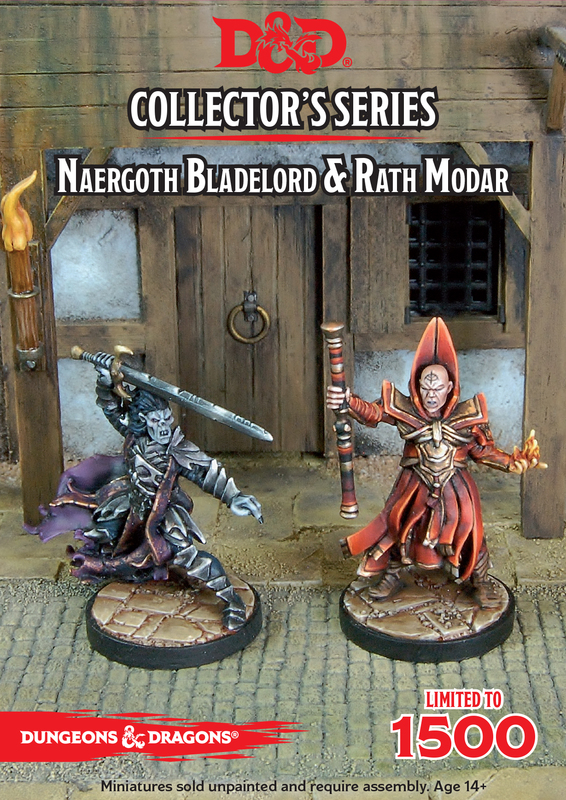 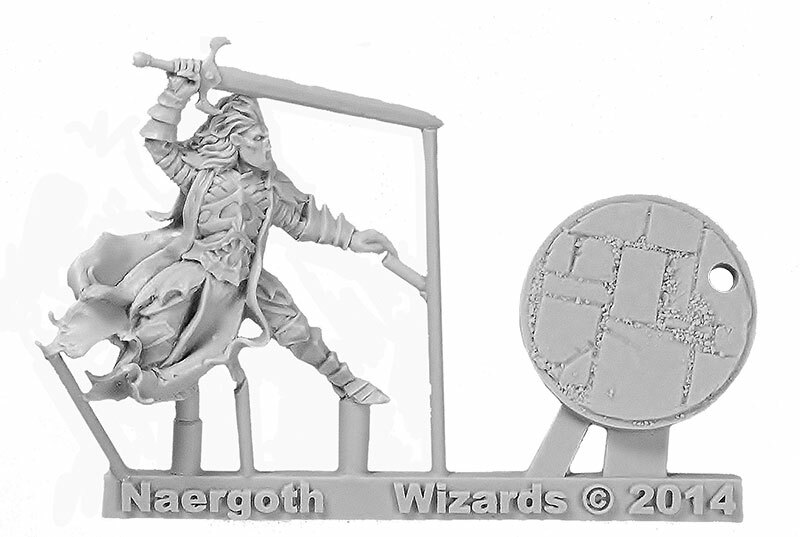 Dour and morose, Gar Shatterkeel is the water prophet of Elemental Evil, and the leader of the Crushing Wave cult. 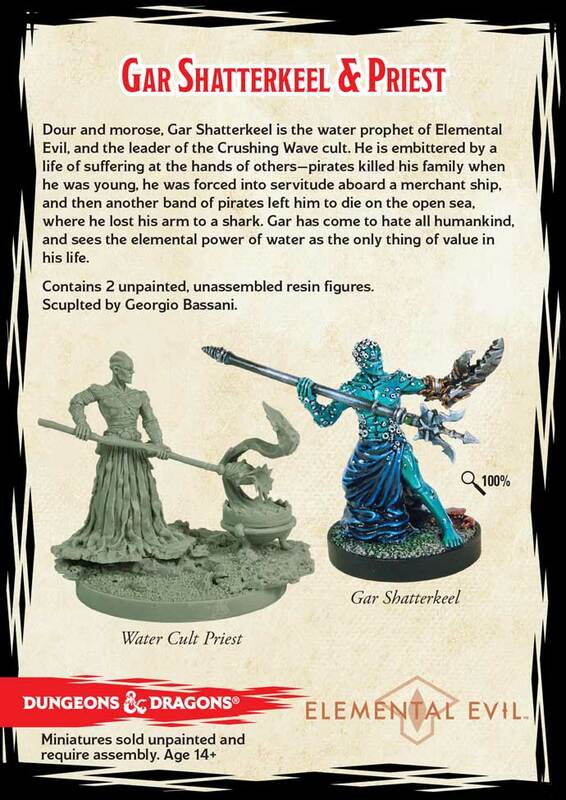 He is embittered by a life of suffering at the hands of others—pirates killed his family when he was young, he was forced into servitude aboard a merchant ship, and then another band of pirates left him to die on the open sea, where he lost his arm to a shark. 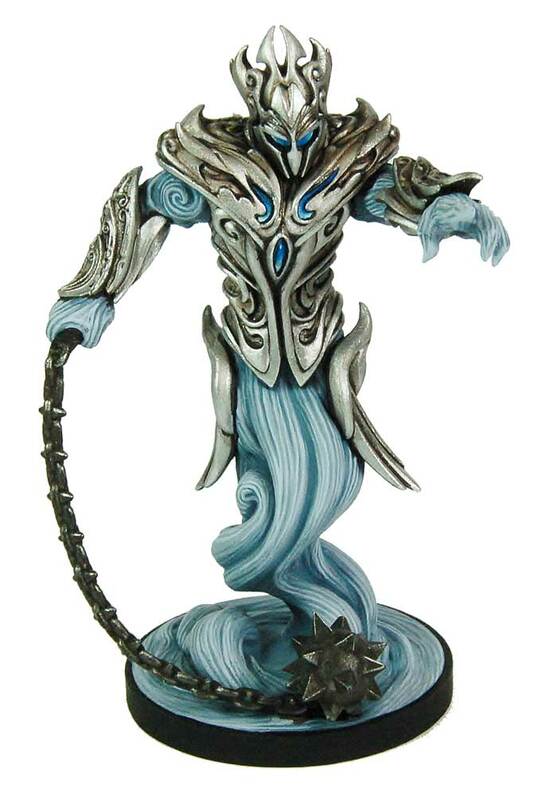 Gar has come to hate all humankind, and sees the elemental power of water as the only thing of value in his life. 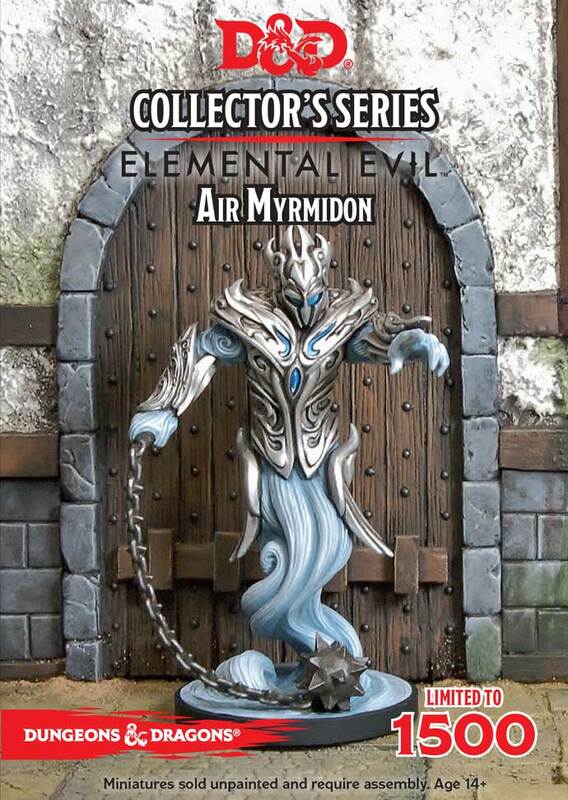 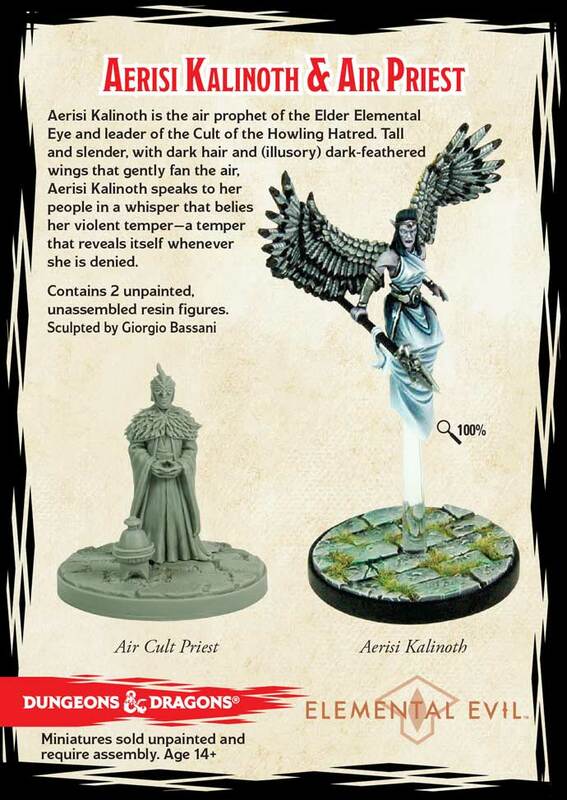 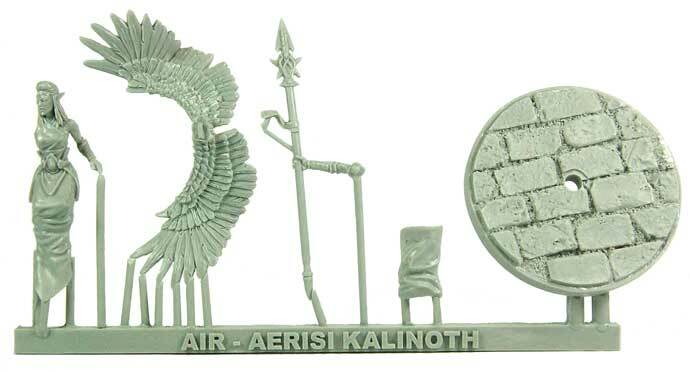 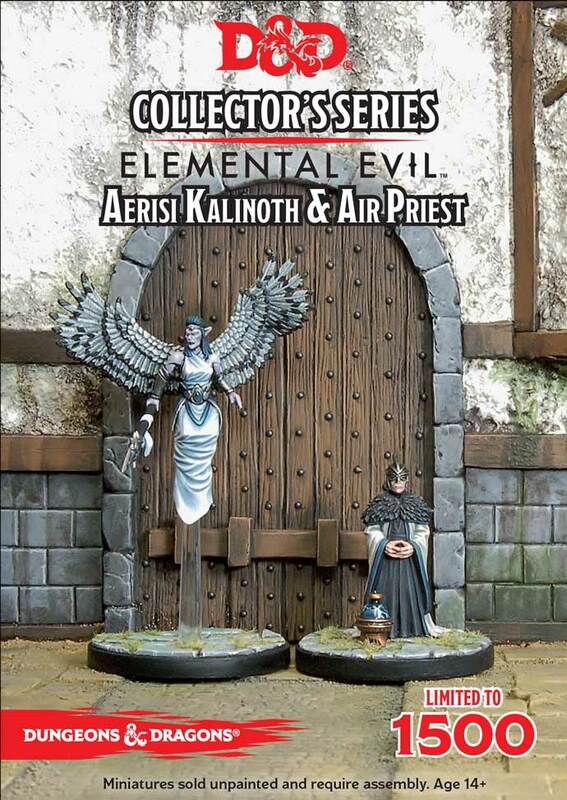 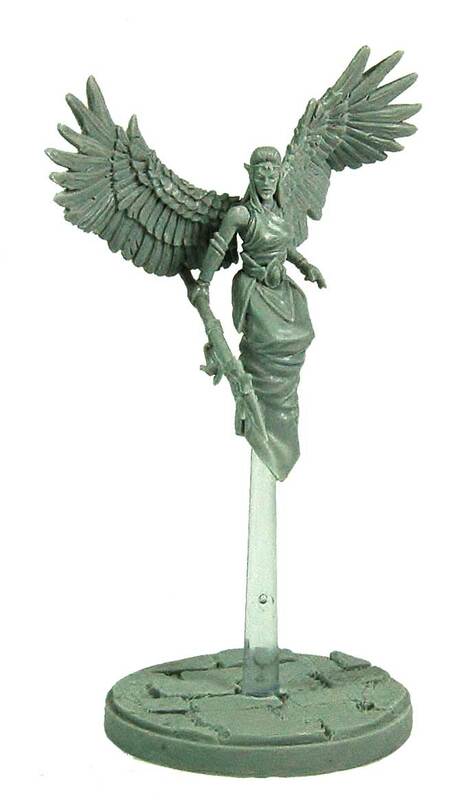 Aerisi Kalinoth is the air prophet of the Elder Elemental Eye and leader of the Cult of the Howling Hatred. 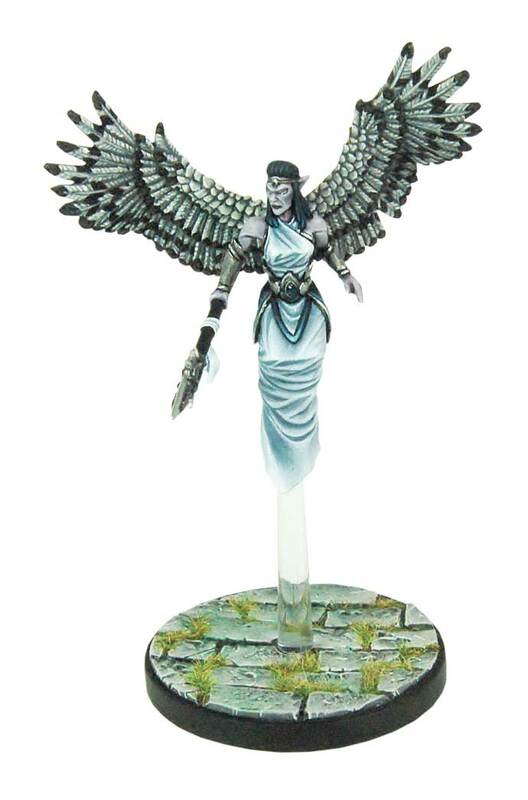 Tall and slender, with dark hair and (illusory) dark-feathered wings that gently fan the air, Aerisi Kalinoth speaks to her people in a whisper that belies her violent temper—a temper that reveals itself whenever she is denied. 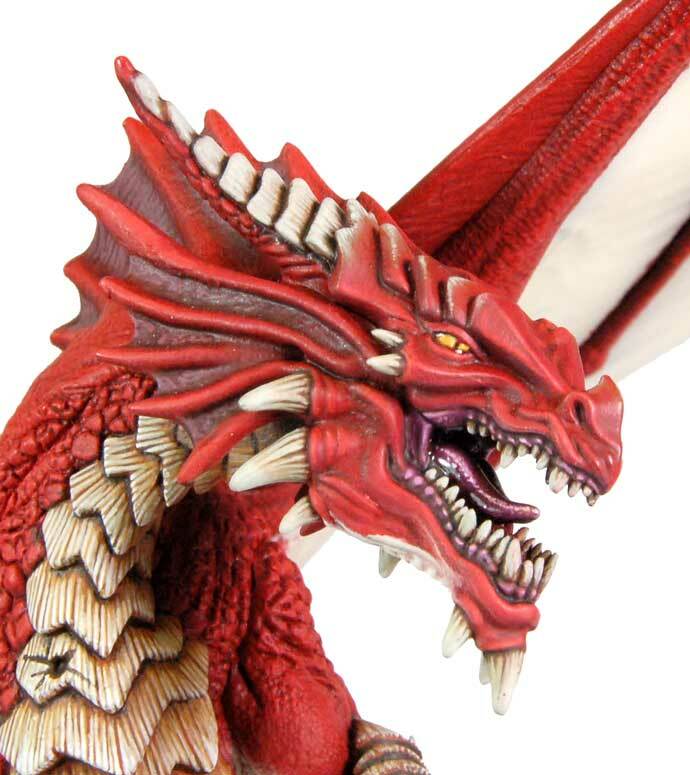 Often regarded as the archetypal evil dragon, red dragons are arrogant tyrants and see themselves as kings and emperors. 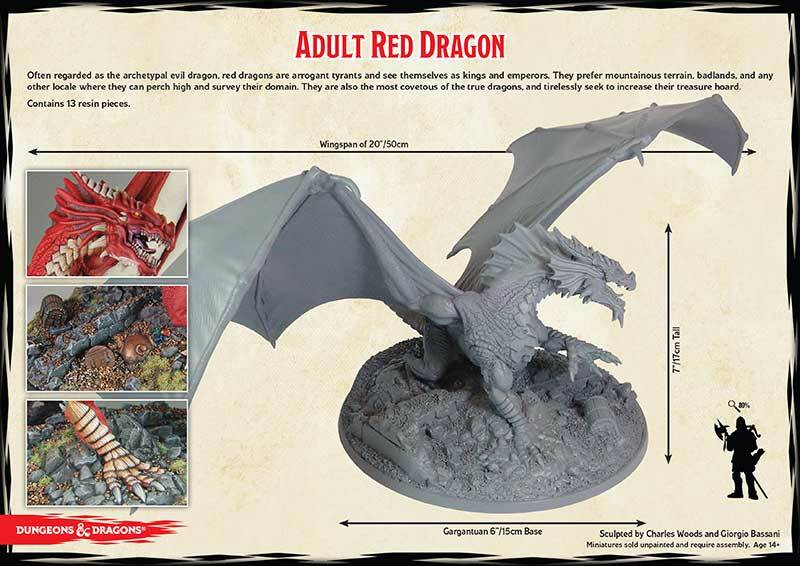 They prefer mountainous terrain, badlands, and any other locale where they can perch high and survey their domain. 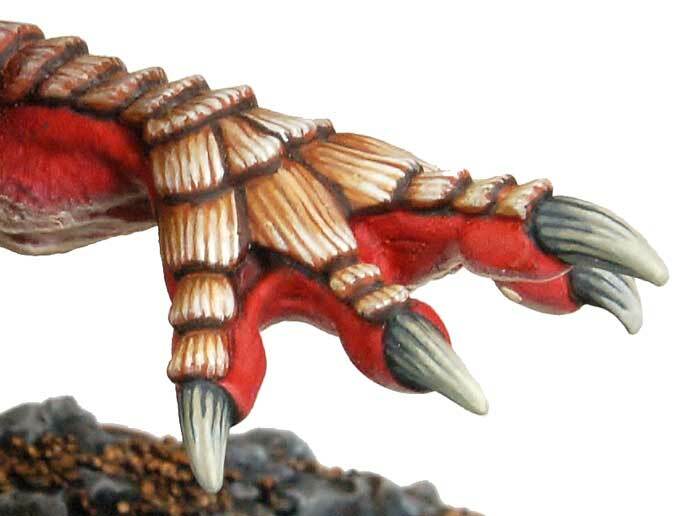 They are also the most covetous of the true dragons, and tirelessly seek to increase their treasure hoard. 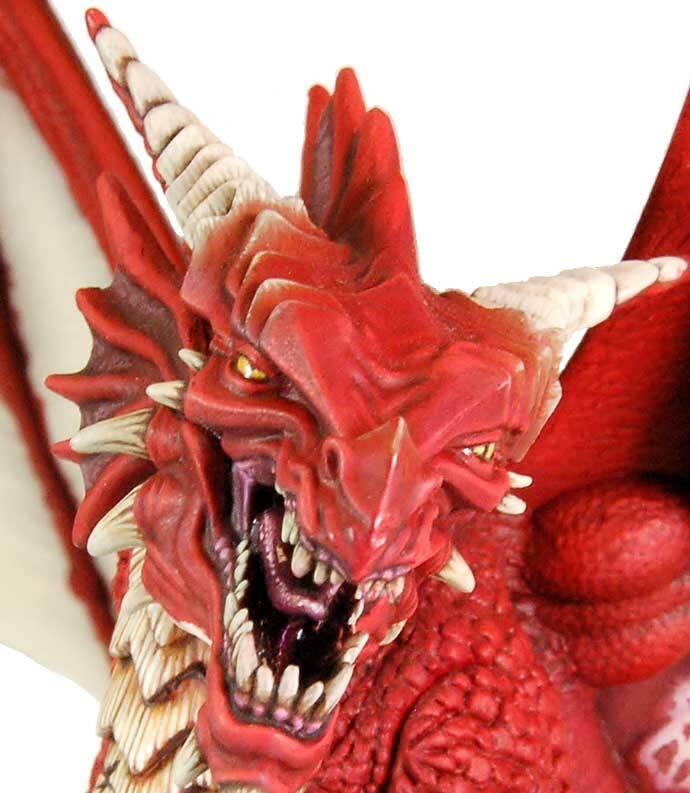 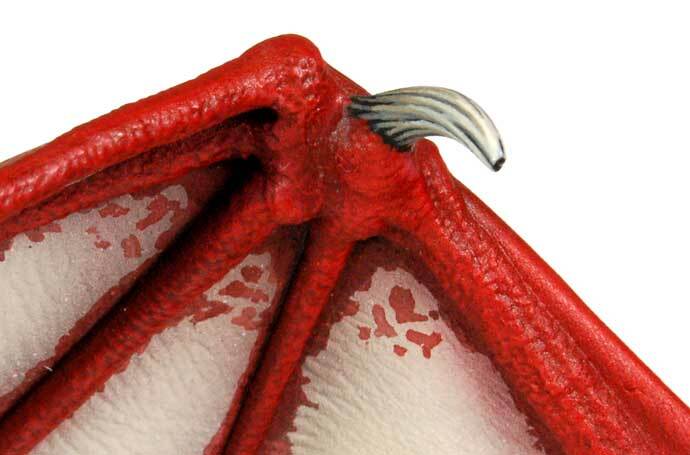 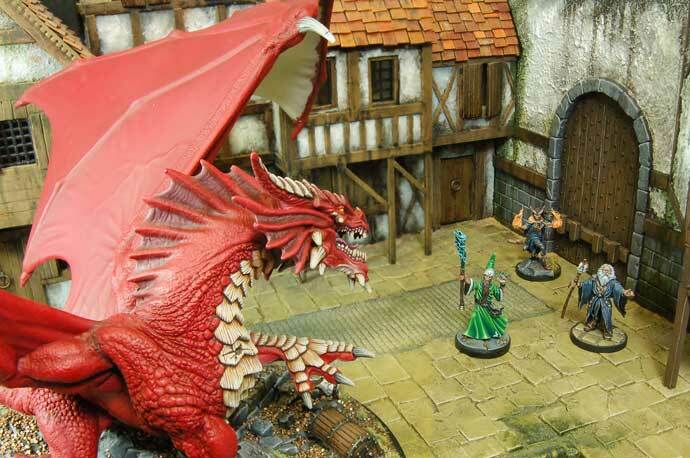 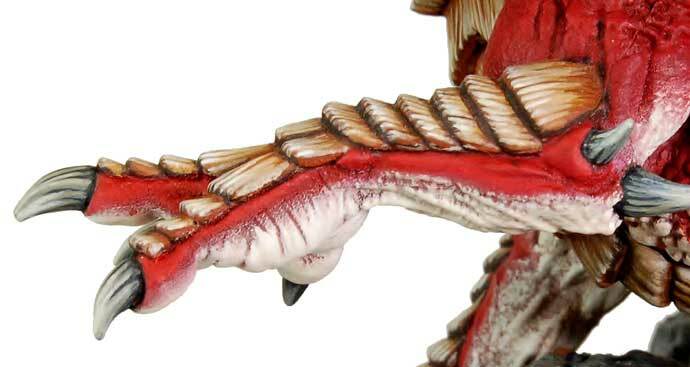 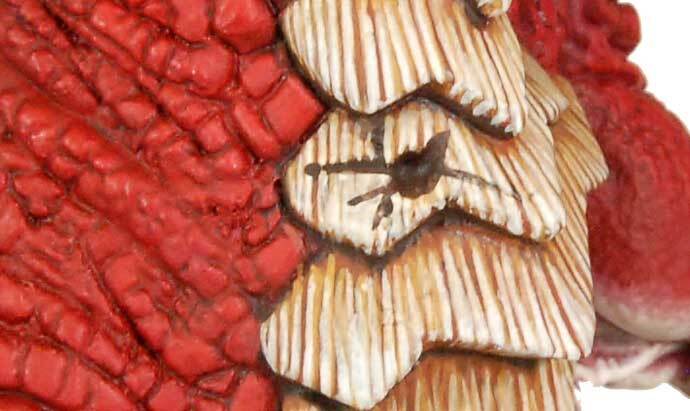 This week we take a closer look at the details of the fearsome Red Dragon!